This work describes the use of brain programming for automating the video tracking design process. The challenge is that of creating visual programs that learn to detect a toy dinosaur from a database while tested in a visual-tracking scenario. When planning an object tracking system, two sub-tasks need to be approached: detection of moving objects in each frame and correct association of detection to the same object over time. Visual attention is a skill performed by the brain whose functionality is to perceive salient visual features. The automatic design of visual attention programs through an optimization paradigm is applied to the detection-based tracking of objects in a video from a moving camera. A system based on the acquisition and integration steps of the natural dorsal stream was engineered to emulate its selectivity and goal-driven behavior useful to the task of tracking objects. This is considered a challenging problem since many difficulties can arise due to abrupt object motion, changing appearance patterns of both the object and the scene, nonrigid structures, object-to-object and object-to-scene occlusions, as well as camera motion, models, and parameters. Tracking relies on the quality of the detection process and automatically designing such stage could significantly improve tracking methods. Experimental results confirm the validity of our approach using three different kinds of robotic systems. Moreover, a comparison with the method of regions with convolutional neural networks is provided to illustrate the benefit of the approach. This research was funded by CICESE through Project 634-128 – “Programación cerebral aplicada al estudio del pensamiento y la visión”. 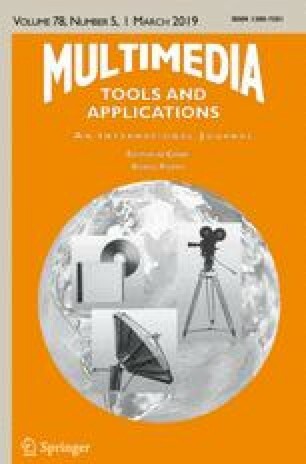 In addition, the authors acknowledge the valuable comments of the anonymous reviewers, the Editor of Multimedia Tools and Applications, and the International Editorial Board whose enthusiasm is gladly appreciated.